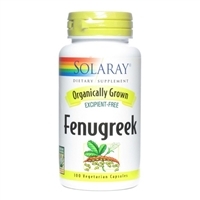 Fenugreek is a classic herb for encouraging lactation in nursing mothers. It is also excellent for the respiratory and digestive system and can be used for coughs, colds, and bronchitis. Nettle is traditionally used for providing relief from allergies, and for use as a nutritive tonic. It is excellent for supporting a healthy inflammatory response, respiratory health, and liver support. Nettle also helps to soften skin and support healthy, luxuriant hair growth. Blessed Thistle is often used in bitter, tonic drinks and has traditionally been used to encourage healthy nursing between mother and child. Warnings & Disclaimers: ** These statements have not been evaluated by the FDA. WARNING: Accidental overdose of iron-containing products is a leading cause of fatal poisoning in children under 6. Keep this product out of reach of children. In case of accidental overdose, call a doctor or poison control center immediately. Caution: As with any dietary or herbal supplement, you should advise your healthcare practitioner of the use of this product. If you are nursing, pregnant, or considering pregnancy, you should consult your healthcare practitioner prior to using this product. This product is not intended to diagnose, treat, cure or prevent any disease; the law applicable to dietary supplements, the Dietary Supplement Health and Education Act of 1994, commonly referred to as DSHEA, does not permit us to do so and it is not our intention to do so. The Contraindications and Potential Drug Interactions information provided on this website is not intended to be all-inclusive. Keep your healthcare provider informed about any herbal and other dietary supplement products that you are taking. Avesta Shatavari is of the highest potency Shatavari supplements, standardized to 40% saponins. Avesta's pure and potent Shatavari is the primary phytoestrogenic, auyurvedic herb for women's health and rejuvenation. Traditionally used to promote lactation and address female dryness.